BB: What did you both do before owning Bella? M: I have a degree in Apparel Design and had worked as a seamstress making custom window treatments, bedding and home accessories for a high-end interior design group in Seattle. After having my first daughter she did freelance design. N: I have a background in marketing and public relations in the entertainment industry, having worked for Disney and launching the Scene It DVD Board Game. BB: Why did you want to become part of the Bella franchise? N: I discovered Bella Bridesmaid when I was planning my own wedding and couldn’t believe there wasn’t one in Seattle. I approached my friend Meredith with the idea and we jumped at the chance to become a franchise owner…it was a perfect fit! 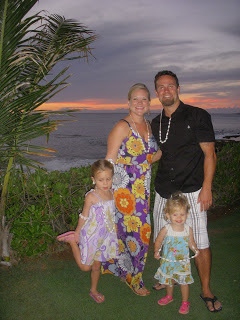 M: I had been at home for two years with my first daughter and was ready to get back into working. I have always wanted to own a boutique and fell in love with the idea of Bella Bridesmaid. BB: What are the most memorable moments so far in your boutique? N: We have had a lot of fun times in the store. It can get quite crazy during the busy season, but when a group of fun girls comes into the store, their energy just radiates and it’s infectious. We love those big groups and have even had a few come back to visit on the actual wedding day to get help with tying their TwoBirds bridesmaid dresses! M: When I connect with a bride and see her vision it is such a satisfying feeling to help make everything come together. I enjoy when the girls are trying on dresses and having a good time it’s like hanging out with my own girlfriends. BB: What are your favorite bridesmaid dresses that are hanging in your personal closets? M: Since I have just recently lost most of the baby weight from my second daughter, I have a list of dresses I would like to own: Riverside by 57 Grand, The Ball gown by Two Birds and Zoe with the party skirt by Lula Kate. Just 5 more pounds to go! N: You can’t go wrong with a TwoBirds dress! 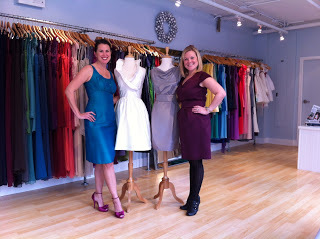 I also love LulaKate’s Gina and Zoe dresses. BB: Tell us about a favorite recent bride that has an interesting story/wedding. 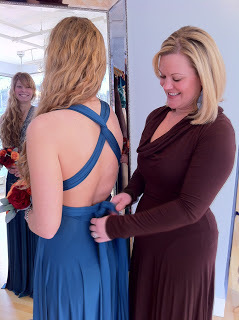 M&N: A few months ago we had a large bridal party fly in from Montana to shop for bridesmaid dresses. There were 10 girls in the bridal party and all but two made the trip. They tried on dozens of dresses and ultimately selected one of our favorite Amasale dresses, G425C. 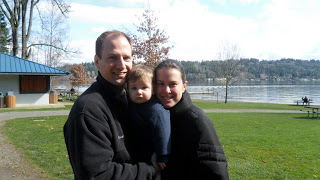 They had so much fun in Seattle for the weekend and we were honored to have been a part of their girl’s weekend. BB: What's your go to dress for a busy Saturday in the shop? M&N: LulaKate is our go-to designer. The dresses are so versatile with the skirt and waistband options that you’re virtually guaranteed to find something for everyone in a bridal party. BB: What is your fave celebrity wedding dress? M: Reese Witherspoon’s pale pink gown by Monique Lhuillier is gorgeous. Its pink, lace and tulle - everything I love. N: That was my choice too! I love that it’s not the traditional big, puffy, white dress. It was perfect for a second wedding. BB: Best wedding trend you've seen recently? M: I am loving the Novelty fabrics! Lula Kate’s Little White Dresses are perfect for the girl who wants something unique. N: The jacquards are my favorite as well as the stripped organza. Thank you Nancy and Meredith!